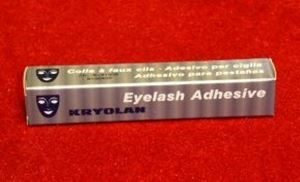 Kryolan standard, latex-based eyelash adhesive. There is currently a problem in re-ordering this product once current stocks are expired, due to a production issue. It will be unavailable for an unknown amount of time. However, Duo Eyelash Adhesive is recommended as a substitute.